I wanted to create the icon that combined several elements. 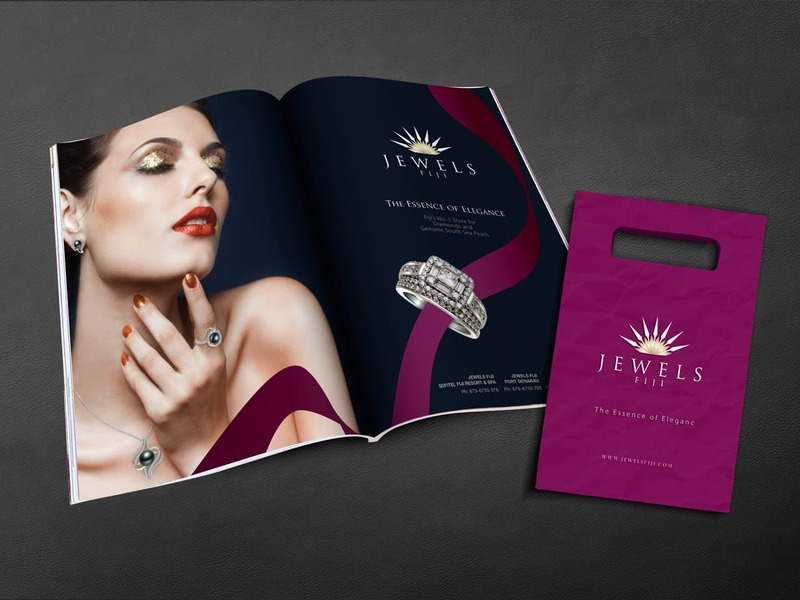 The objective was to capture the shine and brilliance associated with jewellery and yet clean and simple enough to represent the unique feature of your brand. 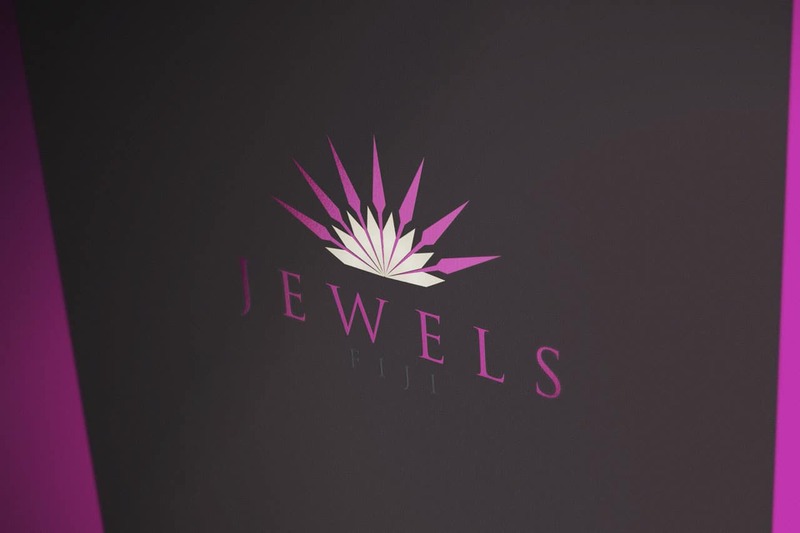 The design subtly incorporates the traditional emblems of Fiji, but encapsulated within the idea of Jewellery. It’s a very dynamic yet elegant design and one created to be as beautiful and elegant in the coming years. Branding, advertising (not website). 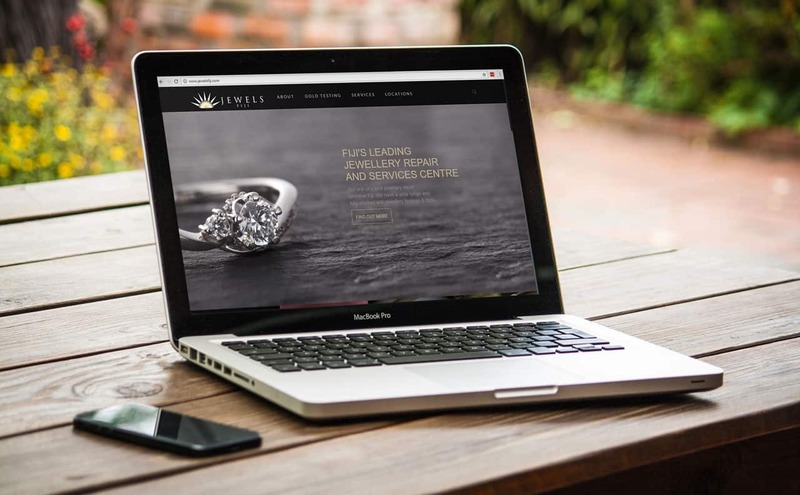 Jewels Fiji, in Fiji’s Port Denarau Retail Centre, has a dazzling collection of jewellery. Visitors can choose from diamonds, sterling silver, glittering gold or tropical pearls, in stunning classical or bold modern designs. The South Pacific is a place of history, tradition and stunning beauty, and it’s also got a sophistication all its own. We wanted to create a dynamic logo that combined all these concepts. 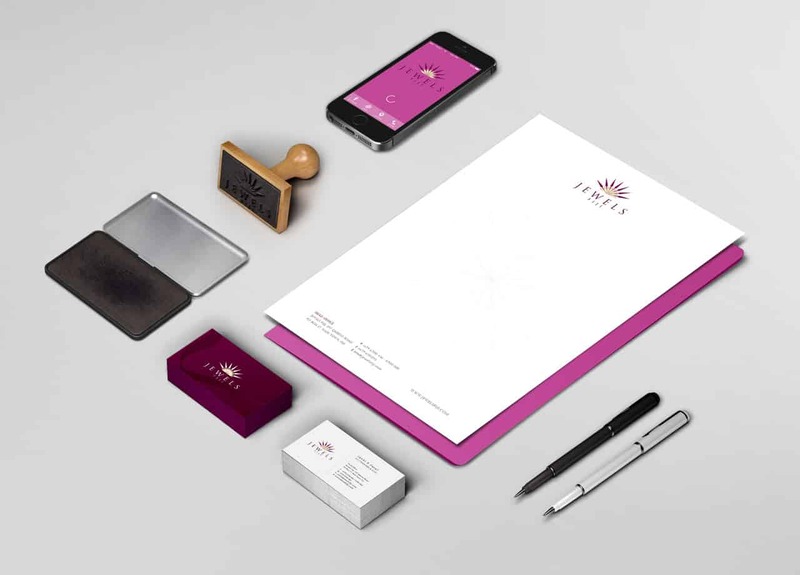 Our client’s brief was for a dynamic but elegant design that wouldn’t date. We started with two Fijian emblems: the point of a traditional sword from the Fijian Coat of Arms, and a stylised flower, representing the abundance of stunning tropical vegetation native to this archipelago. We used our chosen elements to represent the lustre of beautiful jewellery, so the stylised flower at the centre is like a cut jewel sending out ‘sparkles’ of light in the shape of spear heads. We chose white and gold to represent the brilliance and sheen of jewellery, and placed it on a deep amethyst background, which acts like deep velvet to enhance its brilliance. As always, we chose the font with great care. Its subtle and beautiful shape reflects the exquisite craft of the master jeweller, for whom perfection is always the goal.